What Is Agritourism? 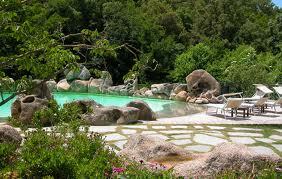 ~ Sardinia Baby! 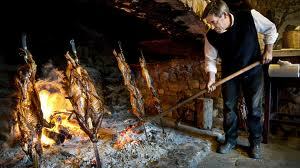 Agritourism has seen a major growth in the past few years as a unique, affordable way to eat and sleep your way around Italy. Compared to a farm holiday in Britain this is something very different. Most, if not all, Agritourism places offer accommodation but I’ve found that it’s often the food and locations that make these places special. Usually found in the middle of the Italian countryside these are working farms producing a lot of the produce that you will find on your plate in the evening. They are places to relax and enjoy the surroundings without having to get up at five in the morning to milk cows or collect eggs. Some Agritourism farms are more chique than others often with swimming pools and nicer rooms which will be reflected in the price. Most offer outdoor pursuits such as horse back riding or guided walks none of which are obligatory if you just want to sit back, relax and be treated like royalty. Some farms will even offer cookery classes or wine tasting if that’s your tipple. According to the news agency Reuters nearly 16,000 small farms opened their doors to holiday makers last year with another 700 expected to join them this year. Farming across Europe has shown a steep decline over the past decade and more and more people are turning to Agritourism to subsidise their income. Italy alone saw an income fall in agricultural revenue by 4% in 2006 and that increases every year.